So there were loads and loads of people who were desperately waiting for Research in Motion (RIM) to showcase to the world what it has in store with its next generation of OS called the BlackBerry 10 and here we are! Last night at the BlackBerry World Conference, RIM tried to woo everyone with the showcasing of the new OS and they just succeeded. For all those who are still now aware about the BlackBerry 10 OS then, it is basically being developed on the QNX platform which the BlackBerry PlayBook actually runs on. RIM is trying to scale down the OS to fit into a mobile device which has specs to match up today’s smartphone standards which has a great finish, is much more beautiful and is user friendly. Why is RIM actually doing all this? Well, in the past one year and so, we have seen RIM’s shares drop by more than 70%, losing its market share drastically, and RIM has not been able to keep its loyal users stick to them as Android and iOS have gained pace and pulled them away from BlackBerry. Yesterday at the Conference, RIM showcased the BlackBerry Alpha Dev device which will be given to all developers who come to visit the BlackBerry 10 Jam and this device will help them in developing apps for the BlackBerry 10 OS and submitting them to the BlackBerry App World. You can find the specs of the device here. Coming back to the BlackBerry 10 OS, RIM has revamped the whole UI and brought in a new feel to the OS. Now you can flip through the apps which you have been using and don’t have to keep clicking the back button to exit the currently running apps and open a new one. RIM has integrated the Inbox with Text messages, BBM and even Mails, all at one place. The Canadian company has tried to keep the traditional BlackBerry physical keyboard experience with a new on-screen touch keyboard which, while you use it, goes on to predict the next word you might be thinking to type in thus making the typing experience quick and easy. I personally liked it. Next up is the camera of the device. RIM has been thoughtful for all of us, as we do know that there are times when we miss those special moments and for all those RIM has managed to pack in the capability of rewinding those moments, selecting the perfect one which we want to be in the image and we’re done with a beautiful picture. I personally loved this feature. Catch the camera in action in the video below. Overall the BlackBerry 10 OS has been impressive and yes it might actually be capable of saving RIM’s drowning ship and let it to sail and compete with Android and iOS when it actually arrives by the end of the year. Are you excited? 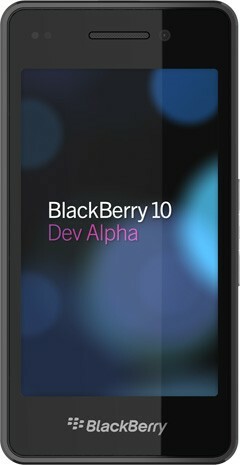 Catch the sneak peak of the BlackBerry 10 OS below.